The Archbishop of Kolkata, Father Thomas D'Souza, on Sunday reacted strongly to author Taslima Nasreen's controversial tweet criticising Mother Teresa and the Missionaries of Charity founded by her. "I will not speak anything on this but it hurts me to hear such things," Ms Kumar told PTI. The controversial Bangladeshi author had tweeted, saying "Mother Teresa charity home sells babies, it is nothing new. Mother Teresa was involved with many illegal, inhumane, immoral, unethical, unprincipled, wicked, fraudulent, barbaric acts. Please don't try to protect criminals only because they are famous." 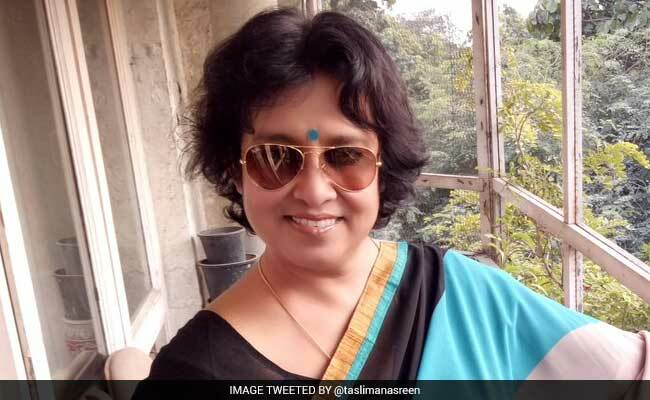 Ms Nasreen's tweet had come after West Bengal Chief Minister Mamata Banerjee accused the BJP of making "malicious" attempts to malign the name of Missionaries of Charity when two staff members of its Ranchi-based shelter home were arrested for allegedly selling babies. Archbishop D'Souza rejected Ms Nasreen's allegations as "baseless and untrue". "This is not at all true. The author can say whatever she wants but that will not be able to tarnish Mother's image. Her image will remain impeccable and she will be remembered for all that she has done. If someone says something like this, it doesn't diminish Mother's integrity. I will not say anything more than this," Archbishop D'Souza said. The Archbishop said people like Ms Nasreen who have not understood Mother Teresa's work properly say such things. When pointed out about Ms Nasreen on Sunday referring to two books on her Twitter handle saying that they were enough to "know Teresa well", Archbishop D'Souza said, "I will not like to comment anything on whatever she (Nasreen) is saying." St Xavier's University Vice-Chancellor Father Felix Raj also criticised Ms Narseen's comments. "I condemn her comment. People must be very alert before making such comment and blame a person like Mother who made a big contribution to society," Mr Raj said. Sister Konsalia, the nun of Ranchi's Nirmal Hriday, had on Saturday "confessed" to selling three children for money and giving away the fourth child. The MoC nun was arrested on July 5 for allegedly selling a child born to a minor inmate of the home to a couple from Uttar Pradesh. The employee was arrested on July 4 after the first baby was rescued on July 3. Another baby, allegedly sold by the Nirmal Hriday, was rescued from Ranchi's Morabadi area on July 8. The third of the four children allegedly "sold" by the shelter home was rescued by police from Simdega on July 11 and returned to his adoptive parents the next day. The fourth baby, which was allegedly given away for free, was rescued by the Jharkhand Police from Ranchi on Sunday.